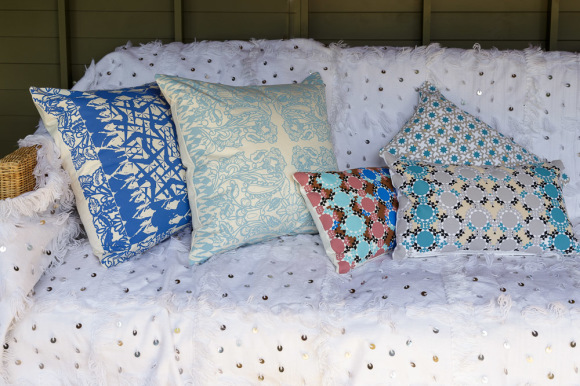 This striking Moroccan cushion with bold geometric design is a modern take on the 'zelliges' pattern, reminiscent of the ubiquitous zelliges tiles found in Moroccan architecture. 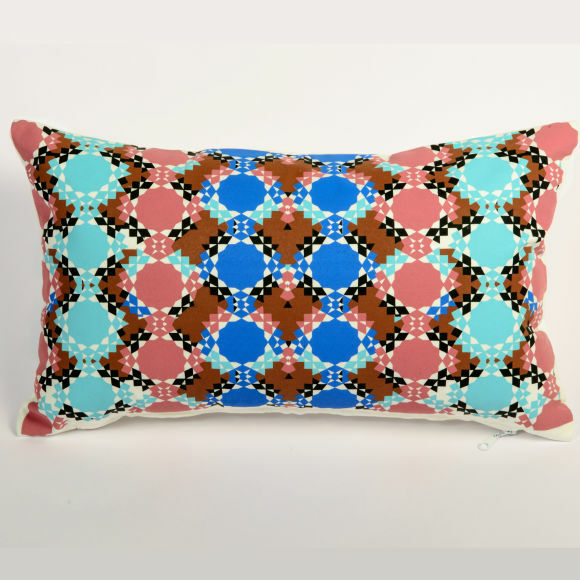 The vibrant colours of ochre, turquoise and pink work beautifully together. 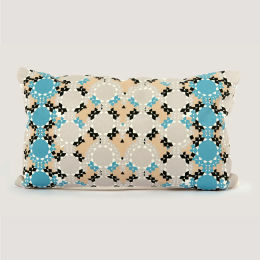 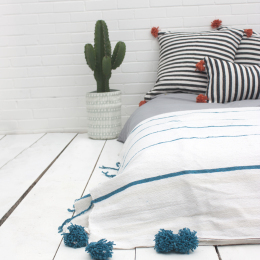 Designed by Leila Billon, this rectangular cushion includes a duck feather cushion pad.